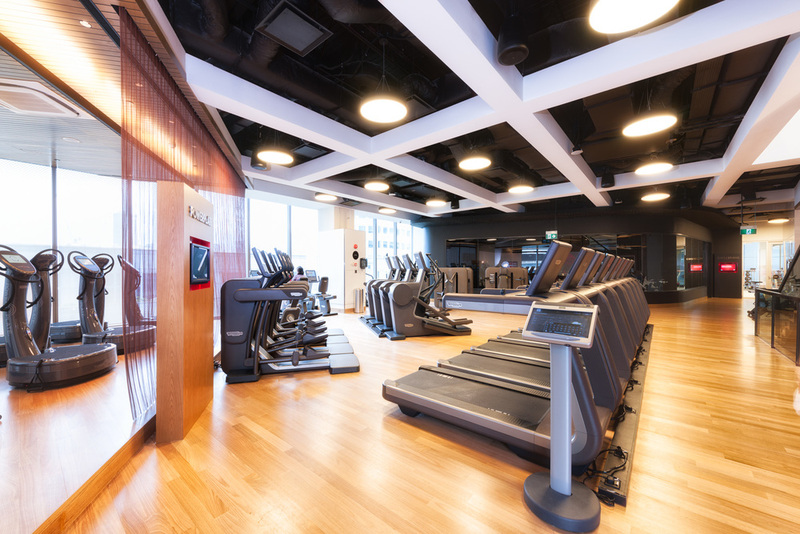 Virgin Active Raffles Place is their first Heath club in Asia and is seen as the Flagship club. Therefore the project needed to make a statement and connect with the unique Singaporean culture. The design philosophy within the Singapore club is about providing a unique experience for every member no matter the purpose of their visit. Each space needs to be designed to provide energy and excitement for the activity within. 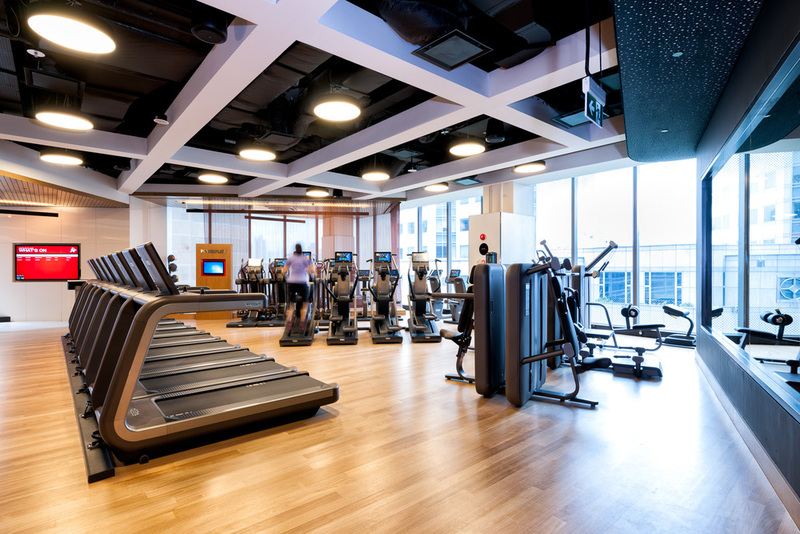 This means that depending on the function, class or equipment being used, the space needs to have its own identity and characteristics that differentiates it from other studios, spaces and alternative health clubs. 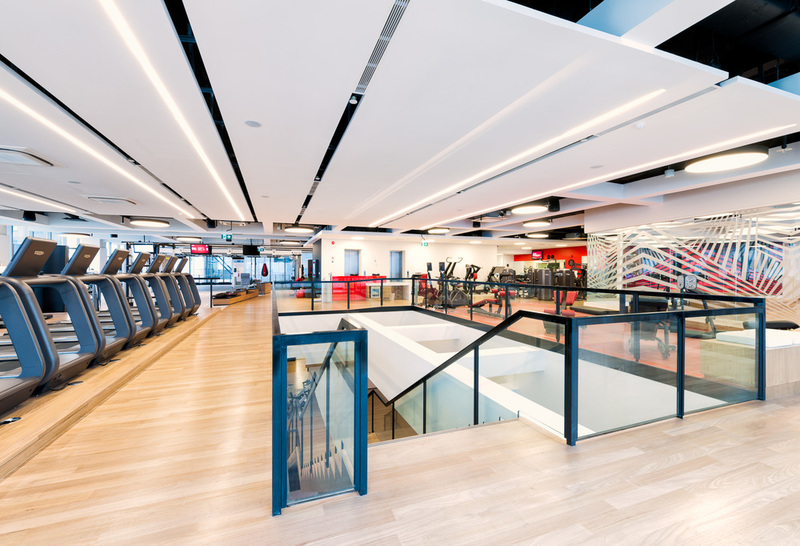 The brand is also important for Virgin Active and this needs to be evident throughout the health club experience, not only by the built form but through the staff contact. 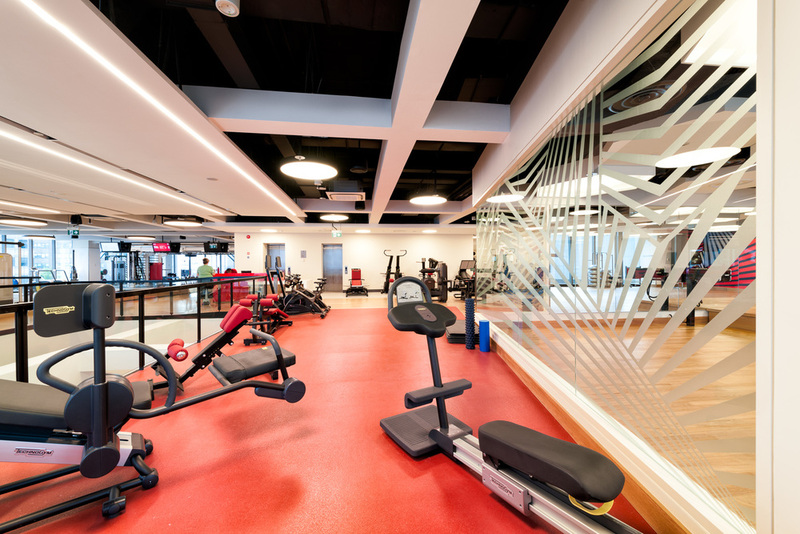 The Lighting Design concept was about creating energetic, motivational yet comfortable space to exercise and relax in. 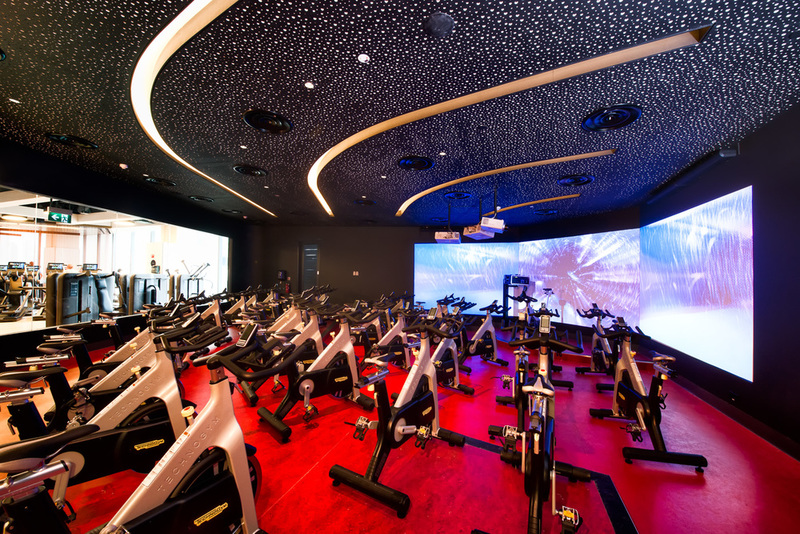 Due to many different exercise studios ranging from Boxing, Pilates, Cycling to Bikram yoga, lighting design was always very specialised and designed to suit each space. 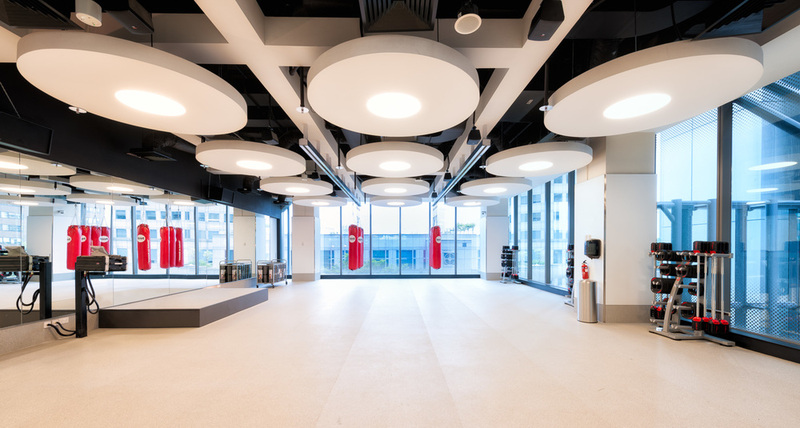 To be able to achieve this task low glare diffused and indirect lighting luminaries were used throughout the project.